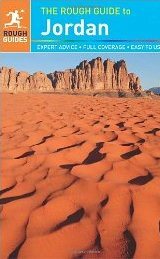 The Rough Guide to Jordan is the definitive guide to the most alluring corner of the Middle East. Detailed accounts of every attraction, along with crystal-clear maps and plans, lift the lid on this fascinatingly diverse country.Explore the world wonder that is Petra, an ancient city carved from rose-red mountain cliffs. Roam the sands of Wadi Rum in the footsteps of Lawrence of Arabia, then relax on golden beaches at Aqaba, Jordan's beautiful Red Sea resort. You'll find full-colour pictures and maps throughout, alongside insider tips on getting the best out of a visit to Amman, the buzzing Jordanian capital, as well as Crusader castles and stunningly well preserved Roman cities. Float your cares away on the Dead Sea, the lowest point on Earth, or take in spectacular views over the Dana biosphere reserve. At every point, the Rough Guide steers you to the best hotels, cafés, restaurants and shops across every price range, giving you clear, balanced reviews and honest, first-hand opinions.Make the most of your time with The Rough Guide to Jordan.Now available in ePub format.